To make your ecommerce business a success, you need to take care of every aspect that is related to your business. Right from products to shipping, every step is important to reach to the milestone that you have been craving for. You might offer the best brand product at the most affordable prices, but the low grade packaging or damaged products can easily help you lose a valuable customer. 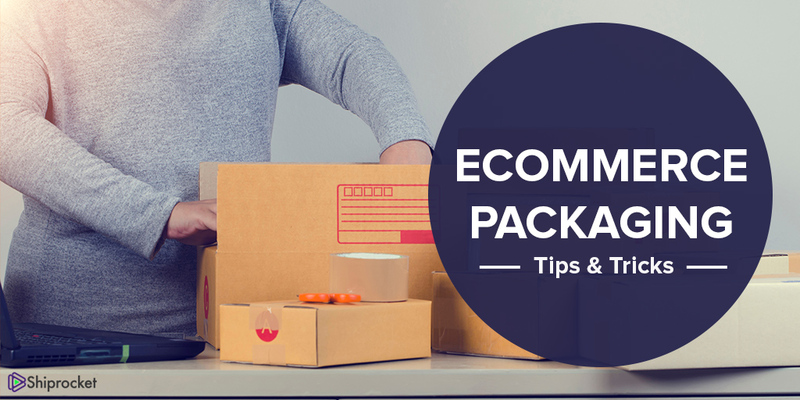 The shipping method might take a back seat for the customers, but they cannot compromise on the ecommerce packaging. There are many products which need correct ecommerce packaging method to reduce product damage during transit. Also, a professional packed product will surely add brownie points to your brand’s identity. It is the responsibility of the seller that they make sure a safe product delivery to the customer’s home. To make sure that this happens, let’s check out some useful tips to ensure a secure shipment. Make sure that you choose a good conditioned box that has enough room for your product. Check that is is slightly bigger than your product. In case of small items, you can use kraft bubble envelopes or poly bubble mailers as an alternative. If you don’t want your products to break or damage, never pack them directly in the box and send it for shipment. You can use bubble wrap, foam, raffia or paper on the box to ensure safe shipping. You can also wrap the items individually with bubble wrap for better security. Check if the items shifts after the box is closed. If yes, then add more packing material. Another reason of damaged product delivery is using low quality tape that opens during the transit. Use a strong brown packing tape or reinforced packing tape which is atleast 2 inch wide. Close every loophole on the top, bottom and corners which can accidentally open up during the transportation. Not only a damaged product hampers your brand image, delay shipping can also put a black spot on your identity. To make sure that this does not happen, use clear, complete and correct name and address, preferably in printed form, so that the product is delivered on time. Also, include proper label and return address. In case, you are recycling the product, cover or remove any previous label or information. Some items may need special packaging care to ensure a safe delivery of products. Check out those items and what care you need to take for packing them. In case you are delivering any fragile items like glass, then make sure that you wrap each item individually with paper or bubble wrap. Use some cushioning material like foam or bubble wrap on every side of the item to that it does not touch the corrugated box directly. To make sure that perishable items like fruits or other eatables reach the customers in good condition, use paper mache tray to place the items and put them on a heavy outer container. Seal with a strong tape. If needed, you can write ‘PERISHABLE’ for easy identification. Products like photo frames, drawing or painting need ecommerce packaging with rigid material on the front and back to protect it from breaking. Also, you can use bubble wrap between two items to avoid any collision. You need to take extra care, in case you are shipping sharp items like knife, metals, shears, etc. Use a newspaper, bubble wrap or small piece of cardboard to cover the sharp edges. Use a lot of packing material like foam, bubble wrap, etc. for minimum movement. 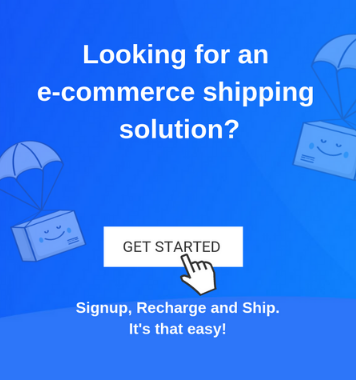 If you are looking for effective shipping solution, then ShipRocket is the best option for your ecommerce store. With this automated shipping tool, deliver products in and around the world, using your preferred courier company.